Hollywood happily puts his mouth where his money is. He recounts stories to relax players; thrash talks to unsettle them and peppers them with insults to push them over the edge. Running his mouth is his plan A. And his plan B. Whatever you have to sell, he’ll promote it – as long as there is something, anything really, in it for him. He can play the crowd. He can tilt anyone. 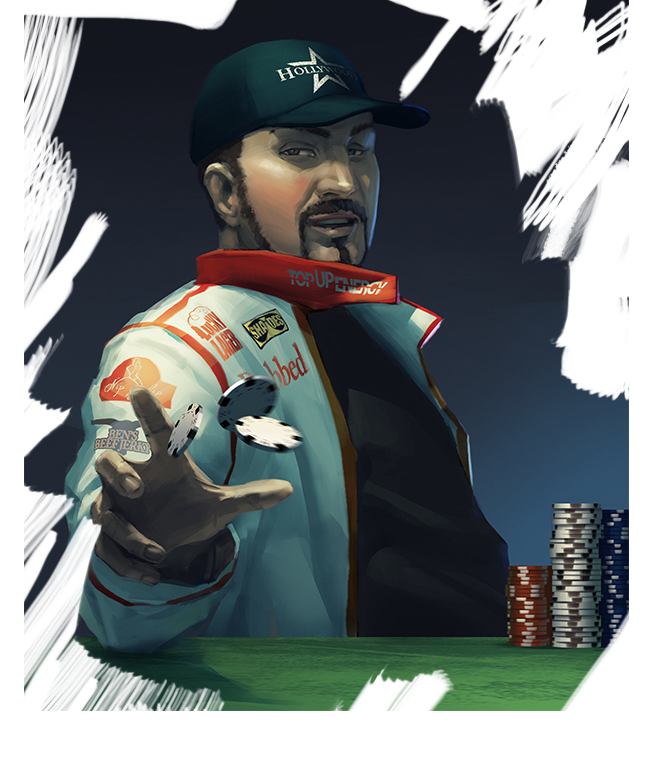 But is he showman enough to outshine all of poker’s superstars?